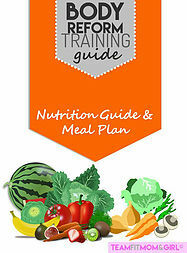 Our 10 Week Meal Plan including our signature 4 week Rotating Carbohydrate Plan. A combo of lean proteins, complex carbs, good fats, fruits and veggies! Energize your life and goals! This plan is designed to shed body fat, help you protect and build lean muscle for a shredded physique.